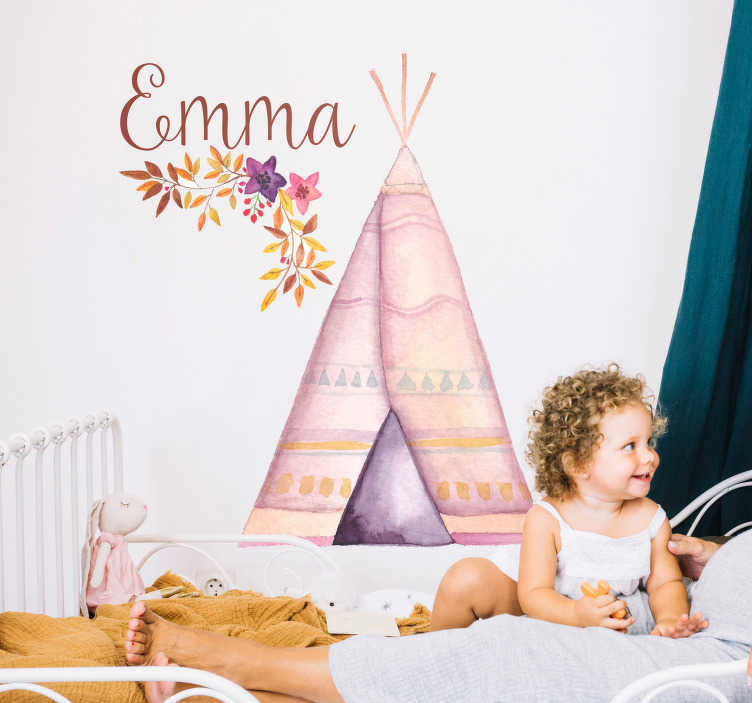 A fantastic customisable children´s wall sticker, depicting a teepee in the middle of Autumn, with a customisable name included next to it! Ideal children´s bedroom decor for those little ones who want to relax in an area where they feel comfortable! Can be customised with any name, so, whether it be a first name, last name or anything else you think looks great - Choose your size, choose your text and buy this customisable bedroom sticker right now!